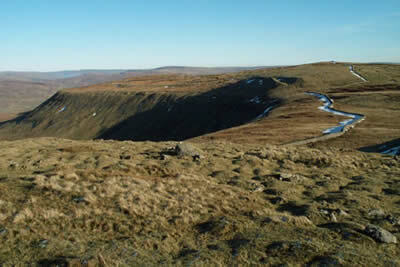 Ingleborough makes a superb objective for this Yorkshire Dales walk. Starting from Ingleton the ascent is straightforward with a return over Park Fell adding extra interest. Besides great views of Pen-y-ghent and Whernside, you also see Ribblehead viaduct and cross some extensive limestone pavements.